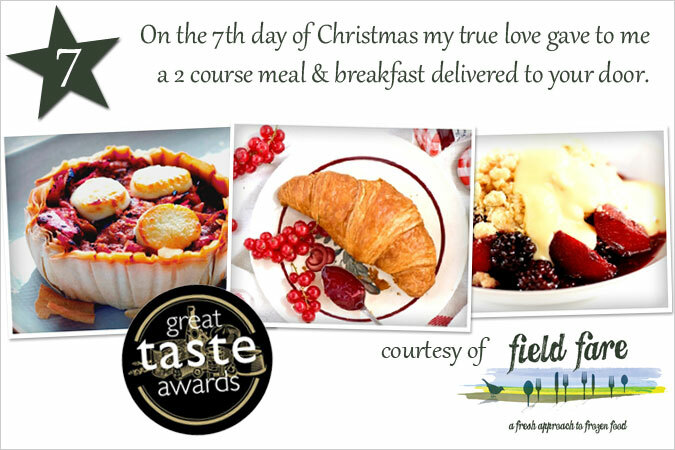 Enter today’s 12 days of Christmas competition to be in with the chance of winning a delicious 2 course meal for 2, courtesy of Field Fare. Your choice of fantastic frozen meal will be delivered to your door and ready to pop in the oven for a romantic night in. You’ll even get some tasty pastries for the following morning. 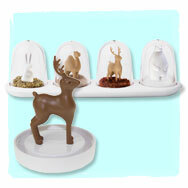 Field Fare is an independent family business that produces frozen food with a difference. Freshly prepared and full of flavour, the range includes ready-meals, desserts, fruit and veg and delicious pastries, all ready to cook. 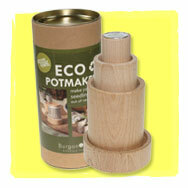 Field Fare products are available in farm shops, garden centres, food halls, butchers and delicatessens across the uk. Sponge cakes helped make a little Cafe in Norfolk called Byfords famous! 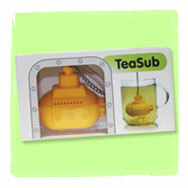 Fans were left open mouthed at the scale, flavour and quality of the cakes. They realised there was a love affair going on, so they started selling online, to share Sponge moments with people far and wide. 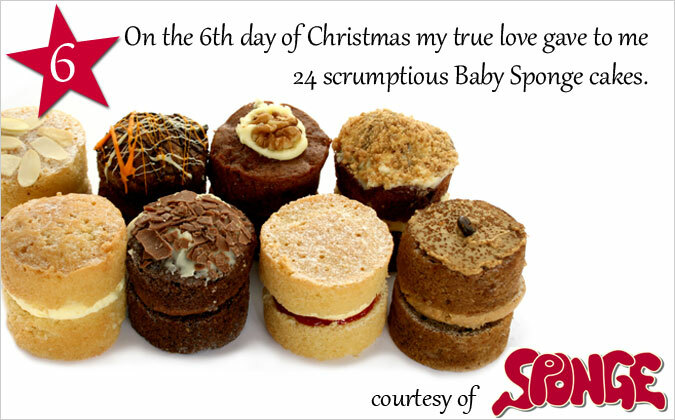 Sponge cakes are made using proper ingredients, with love and care in small batches and offering 1st class service and delivery direct to your door. 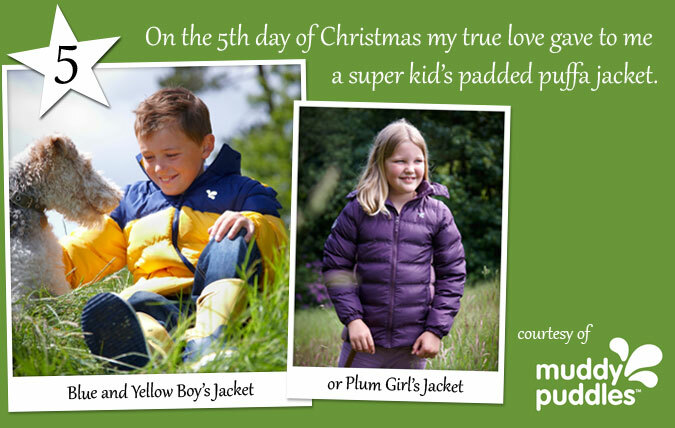 Enter today’s 12 days of Christmas competition to be in with the chance of winning a super stylish child’s padded puffa jacket from Muddy Puddles. Choose from the navy and yellow jacket for boys or pretty plum jacket for girls. Each jacket, worth £32, has zip-off sleeves and hood, to take kids from season to season. 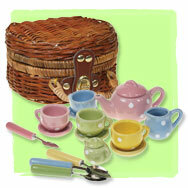 Muddy Puddles equips children with everything they need for everyday outdoor adventures all year round. It is because they love nature and they believe that adventures in nature using imagination lead to the happiest, healthiest children. 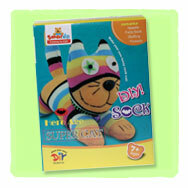 Their clothing is fun and functional, and kids love it! Enter today’s 12 days of Christmas competition to be in with the chance of winning a beautiful gold cocoon necklace from Strange of London. A tribute to the beautiful butterfly, this 18 carat gold vermeil pendant swings freely on a gold-plated chain. Elegant and timeless, this necklace, worth £115, will make you feel all aflutter. 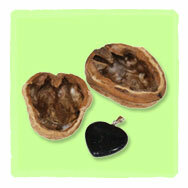 Strange of London is a Luxe jewellery brand designed by emerging designer and jewellery connoisseur Matthew Strange. His fresh and eclectic jewellery is a delicious fusion of art and design, teamed with elements of British nature, designed to raise awareness of the natural world around us. 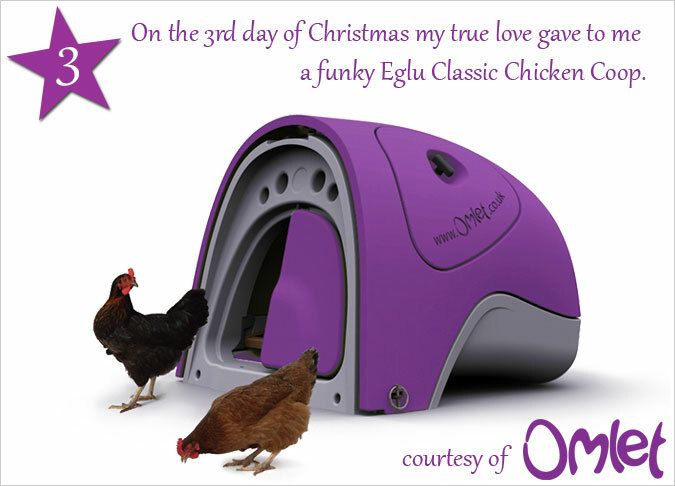 Enter today’s 12 days of Christmas competition to be in with the chance of winning an Eglu Classic Chicken House, with 2m run, in the colour of your choice. 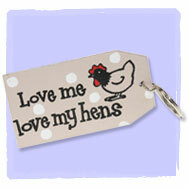 You’ll receive a feeder and drinker, Eglu shade, chicken feed and egg boxes too. 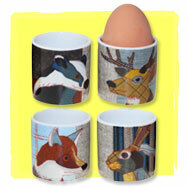 Omlet are famous for the iconic Eglu Chicken Coop, Beehaus Bee Hive and Qute Hamster Cage. Since the launch of the Eglu Classic in 2004, we have witnessed a chicken-keeping boom, with thousands of town and country folk enjoying a little bit of ‘The Good Life’ in their own back gardens. 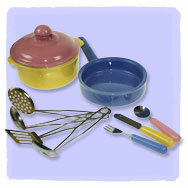 Omlet products not only look the part, but they are design to be easy to use, quick to clean and long-lasting. Enter today’s 12 days of Christmas competition to be in with the chance of winning a case of tasty Tyrrells crisps and popcorn. (That’s 24 bags in total.) There’ll be a mixture of fantastic flavours to munch your way through, so you might want to get your friends round and share in the fun! Tyrrells make fine English crisps like no other. Proud Herefordshirians, they use potatoes from local farmers and hand-cook their crisps in small batches. They produce crisps and popcorn in fabulous flavours, using only natural seasonings, and they wouldn’t dream of adding any artificial nonsense. All in all, Tyrrells make darn delicious crisps! 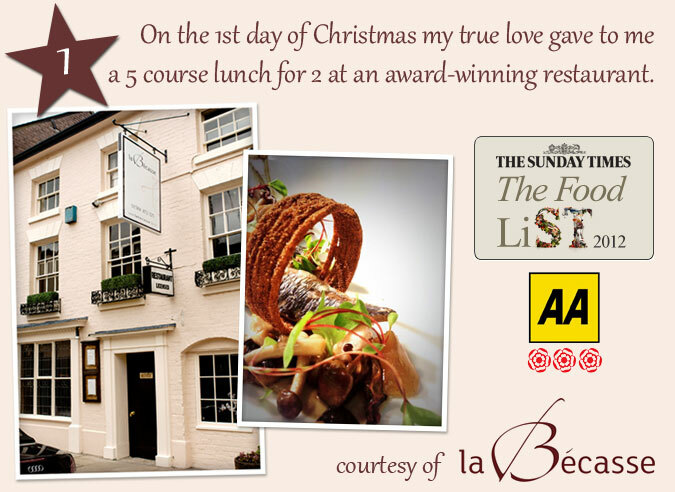 Enter today’s 12 days of Christmas competition to be in with the chance of winning a five course lunch for two people at La Becasse, in Ludlow. Choose from delicious dishes such as Shropshire Mustard Pastrami with Sauce Gribiche, and Pablo Cabrito Mousse with Fig, Grape and Granola, all in a stunningly special setting. La Becasse is an award-winning, fine dining restaurant in the picturesque town of Ludlow. Since opening in 2007, the stunning oak-panelled restaurant has attracted attention and earned many awards and accolades. It has been awarded thre AA Rosettes and a prestigious Michelin Star, as well as being included in ‘The Sunday Times Top 100 Restaurants in Great Britain’ list, this year. This prize is redeemable until 31st March, 2014, excluding 13th and 14th February. 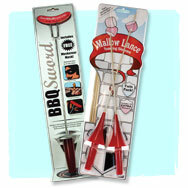 Fun for every little chef. 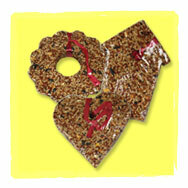 Fun & funky for chicken fans. 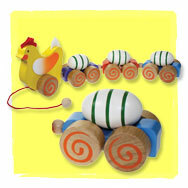 An eggcellent friend for kids. 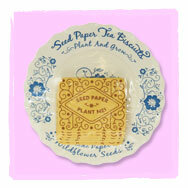 Turns paper into plant pots! 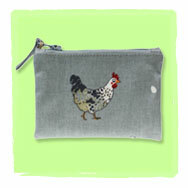 The gift of keeping chickens! Great for kids and parents. If that wasn’t Christmassy enough, did you know that today is National Christmas Jumper Day? We’re wearing ours with pride and we hope that you’re doing the same. Send us a photo of your sparkliest sweatshirts and naffest knits by email, Facebook or Twitter, and our top three will win a Santa Egg Cup and Toast Cutter Set. 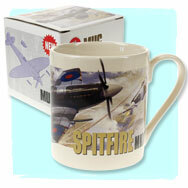 And don’t forget, our Free Delivery offer is running until Christmas Eve. 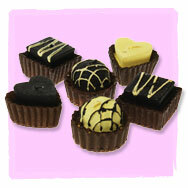 Spend £50 to get free uk delivery! 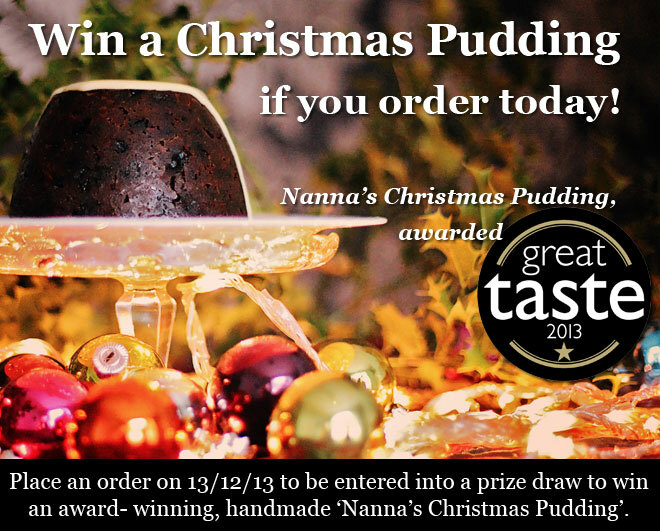 Make sure you place your orders by Friday 20th December to ensure you get your goodies in time. 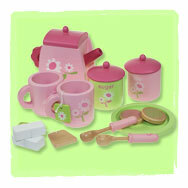 –>Want to treat the kids to something really special this Christmas? 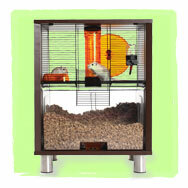 Look no further than our Qute Hamster and Gerbil Cage. 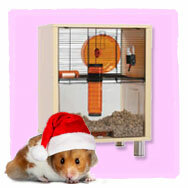 Recently described in The Sunday Times pet gift guide as “the gift hamsters are pleading for in their letters to Santa”, this product is a hit with children, parents and the pets. 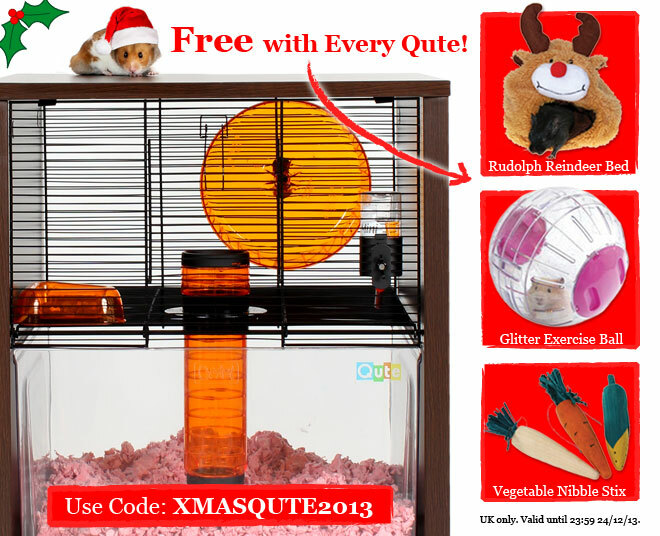 What makes Qute such a great choice of hamster and gerbil cage? It’s fun, functional and looks fantastic. You won’t be ashamed to have this cage on display, and with walnut and birch effect options available, you’ll find that it fits into the home like a piece of furniture. A removable bedding tray and lift ‘n’ twist tube make cleaning a one-minute-job, and kids will love being able to use the tray as a mobile play station. 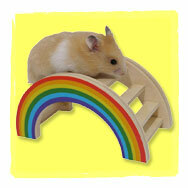 Hamsters and gerbils will enjoy nestling down in the deep bedding, hopping up and down the tube and going for a jog in the wheel. 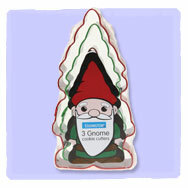 Qute makes a gift to remember, and until Christmas we have an offer that will make it extra special. 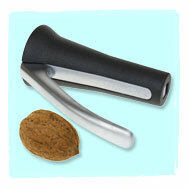 Click here to order your Qute today! 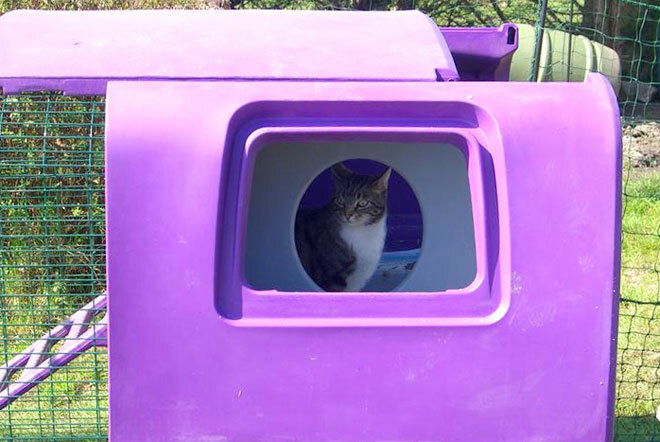 It’s not just chickens that love the Eglu – cats are rather fond of them too. 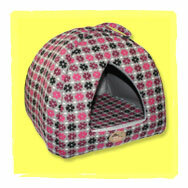 All over the country, fussy felines are ignoring their own beds to claim the cosiest spot in the Cube or Classic. As soon as the hens are let out to play, it would appear that hundreds of household moggies are stealing the best spot in the nesting box for a good, long kip. 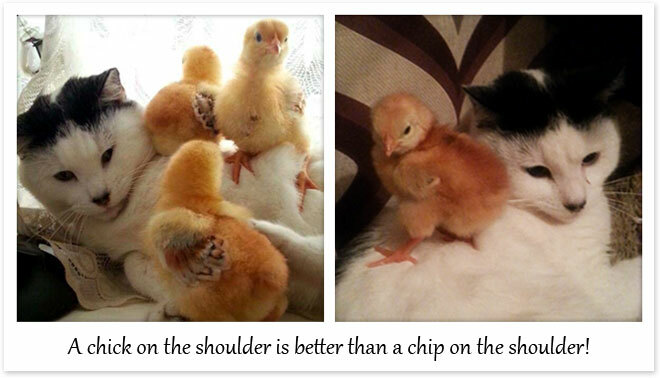 The chickens may not be impressed, but we think it’s rather adorable, and we love it when photos like this are sent in. 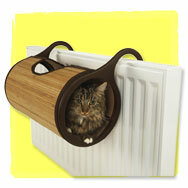 Send us a photo of your cat in an Eglu and you could win one of our best-selling Bamboo Radiator Cat Beds. 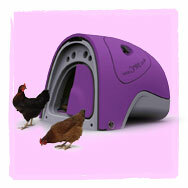 With a snug, sheltered spot to call its own, your pet might just let the hens rule the roost again. 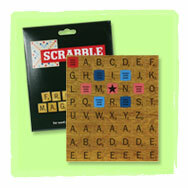 Email to stephanie@omlet.co.uk, post on our Facebook page or send us a Tweet by December 31st for your chance to win. 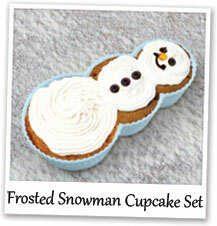 Frosted Snowman Cupcake Set – Four easy to use silicone moulds for festive snowmen shaped cupcakes. 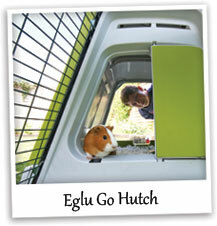 Eglu Go Hutch – Make your kids’ dreams come true with the most stylish and easy to use guinea pig cage. 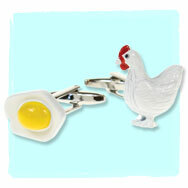 Fried Egg Cufflinks – The perfect gift for anyone with a cracking sense of humour and a love of chickens. 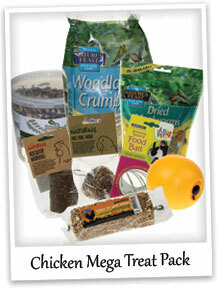 Chicken Mega Treat Pack – Treat your hens to a multitude of toys and treats this Christmas. 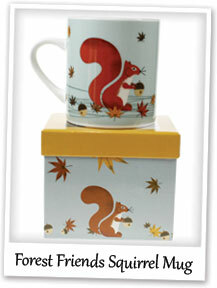 Forest Friends Squirrel Mug – The perfect gift for anyone with a cracking sense of humour and a love of chickens. 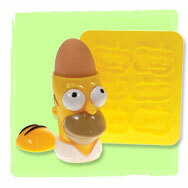 Simpsons Pancake Pan – For pancakes that would make even Homer drool. 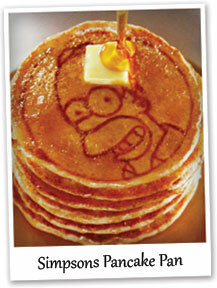 Serve up a Simpson stack! 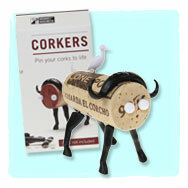 We may not sell our products in Canada yet, but that hasn’t stopped Pet Blog Lady singing our praises. 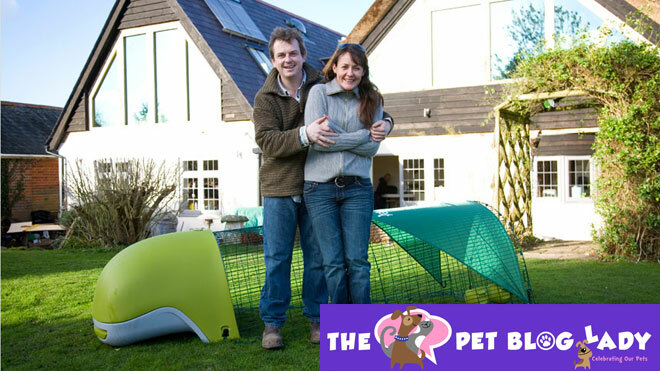 Her blog covers everything there is to know about pets, with regular posts about the latest innovative pet products, and she just loves some of ours. 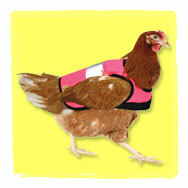 Pet Blog Lady, Lisa Tarron, discovered Omlet after hearing about the High-Vis Chicken Jackets (who hasn’t!?). She said “I have often worried about the safety of chickens as they cross the road and finally someone is doing something about it!” Hear hear. But it’s not just the Jackets that caught her attention. 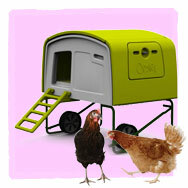 She was drawn to our “funky chicken coops”. Last year Lisa raised frogs (yes, really), but she is now looking to make chicken-keeping her new venture. In fact, she is filled with “itchin to raise chicken” thoughts. 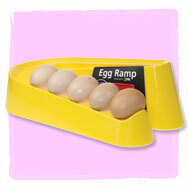 If you’re eggsperiencing similar symptoms to Lisa, make sure you read our chicken keeping guide. You can go on a hen party to find out if chickens are for you, and why not watch this short video on the Eglu Classic, to see just how easy it is to keep chickens with Omlet products. 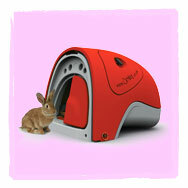 Don’t forget, order your Eglu by 20th December for Christmas delivery! We rather like this novel way of keeping warm in Winter. Both cat and chicks look purrfectly happy snuggled up together. Much better than a hot water bottle, don’t you think!? Sent in by Nikeesha Heath. Do not contain chicken poop! 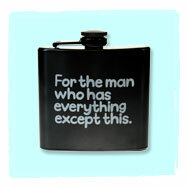 For the man with everything. A cage you can be proud of. Every little girl will love one. 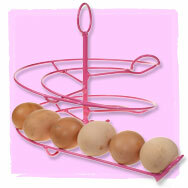 Festive and tasty for hens. 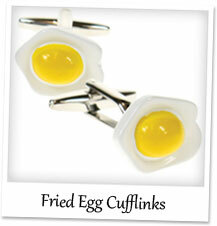 Novelty Cufflinks, £7.95 For the man with everything. 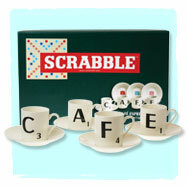 Porcelain Tea Set, £12 Banish the boredom. 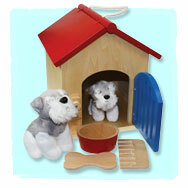 Puppet Kit, £4.50 Better than your average nut! 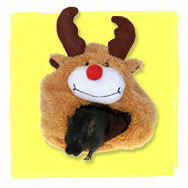 Rudolph Bed, £3.75 This season’s must-have! High-Vis Jacket, £12 Stylish and snug.